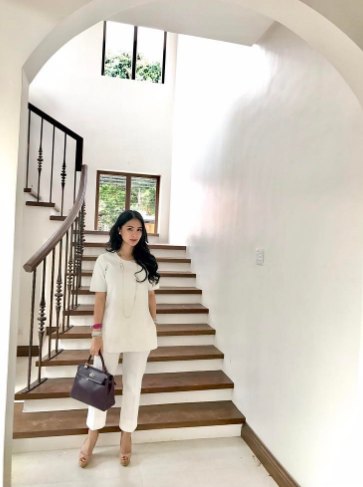 Heart Evangelista's mansion is quite far from being simply a "white house." Given her taste and creativity, it's no surprise that her home accents are like masterpieces. 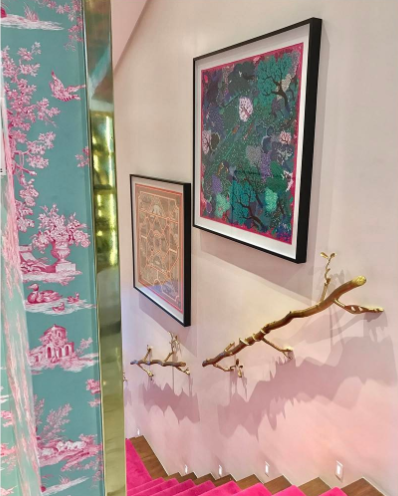 Look at these golden tree branch hand rails leading to her walk-in closet. The Sakura prints on her wallpaper are gorgeous, too! The hard-to-miss candle holder is from Global Views Manila. Among her many paintings, "this I get to keep," she said on Instagram. It's part of her I'm In Full Bloom collection, which will be featured in her exhibit next year. 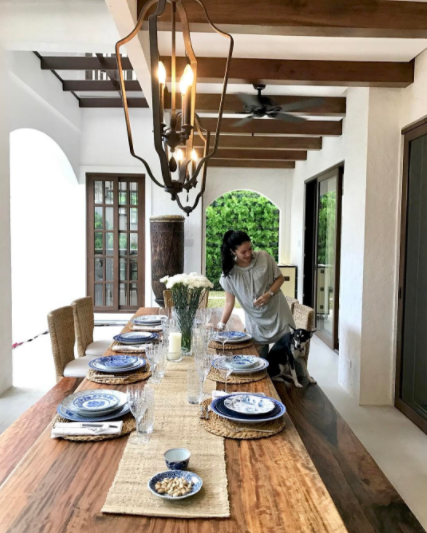 On Instagram, the Kapuso actress has been showing portions of her home. She gave her followers a peek into her indoor dining area, which is both classy and cozy. Here's the other dining area in her French contemporary home. This one is well-lit and and can accommodate more guests. The archway not only accentuates the height of the space, it also works well with the windows that let in natural light into the home. It's easy to notice the marble tiles chosen for the home's flooring. 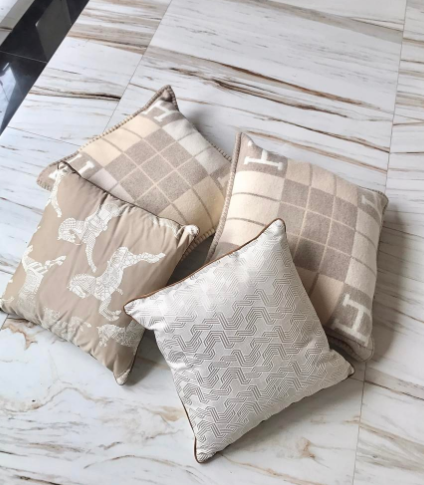 When paired with these sophisticated pillows, we can already imagine the inviting and hotel-like vibe that Heart's home will have. Heart's home wouldn't be complete without her paintings. In the master bedroom, a special work of art takes the spotlight. 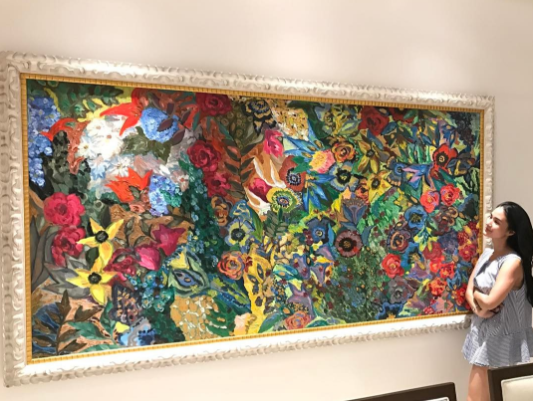 According to her Instagram post, it was a collaboration that she and husband Chiz worked on for their wedding. 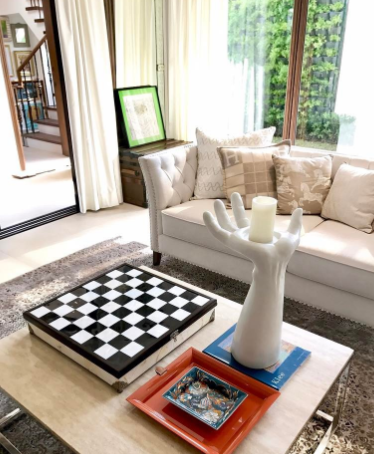 To spruce up this part of the house, Heart chose pieces from the Julia collection of designer Ito Kish. The said collection takes inspiration from the designer's grandmother and her provincial home. Each piece is made from rattan and Polyethylene plastic. The black-and-white Julia Outdoor Highback Chair is paired with the Julia Side Table for a unified look. It's not surprising that Heart chose this finish as she loves white. This room is every homeowner's dream! 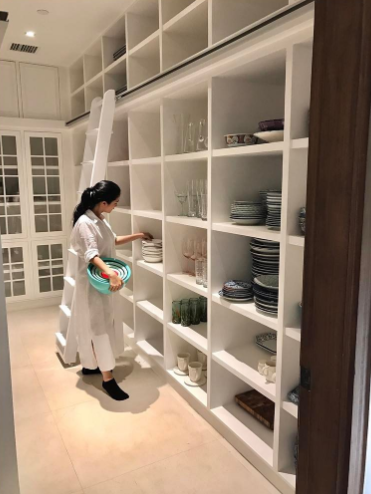 The floor-to-ceiling shelf houses a vast collection of dinnerware that will surely make hosting get-togethers a breeze. Each niche holds a set of plates, glassware, and other essentials. There's also a movable ladder that can make it easier for the owner to get what she needs from the upper shelves.